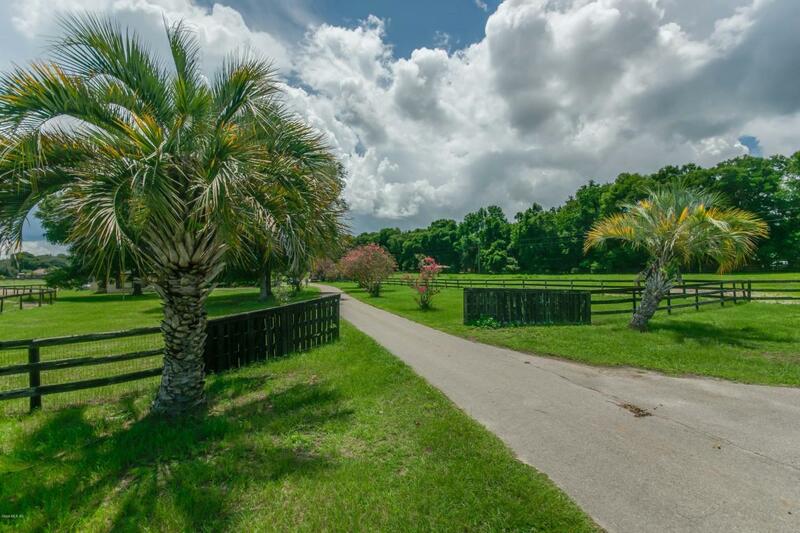 A beautiful, wide open Ocala farm rich with amenities. 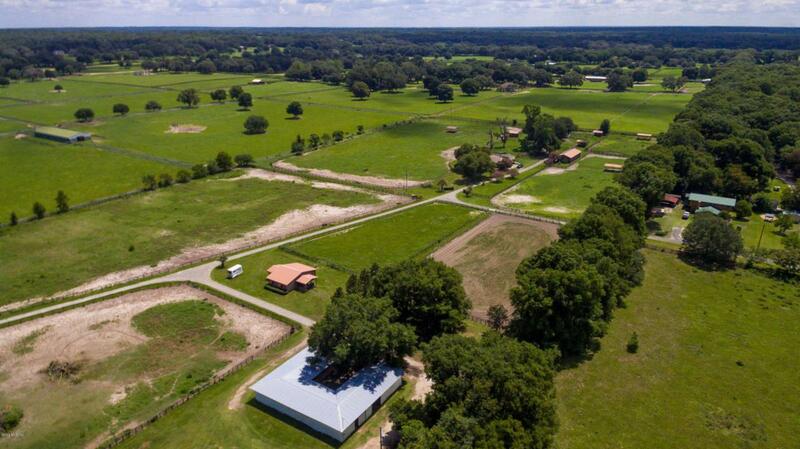 Its extensive equestrian features include a five-stall barn with a shavings bin and security lights, a four-stall barn, and an 11-stall barn with a hay room, tack room, feed room, and half-bath. 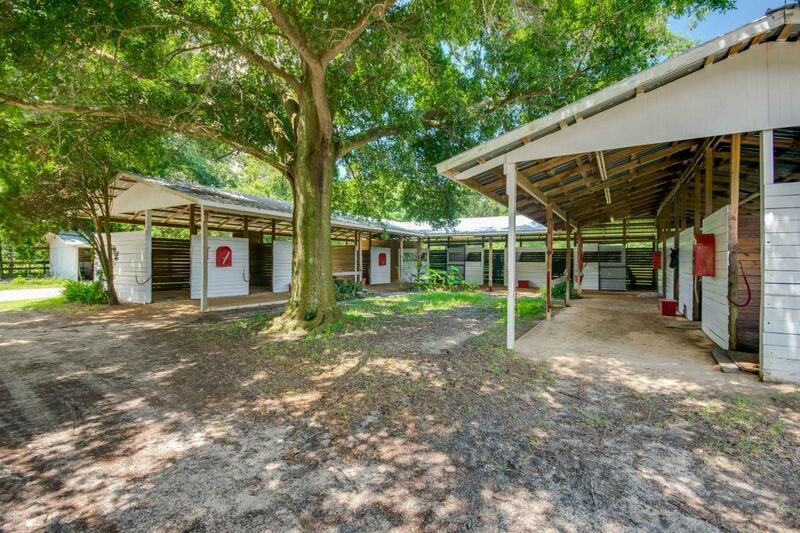 There are a total of seven paddocks, three of which are designed for foaling and include their own stalls. The three-bedroom, two-bathroom home features tile floors throughout, a living room with a stone fireplace, a den, and an eat-in kitchen with granite countertop. In the spacious master bedroom there is a walk-in closet, and the en suite bath features a frameless walk-in shower and jacuzzi tub. 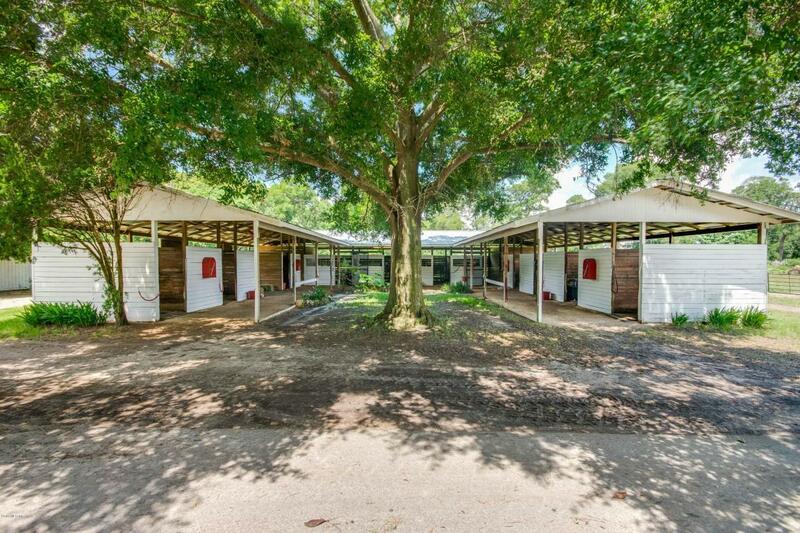 Other enticing features include a pool, a screen-enclosed porch with a hot tub, a shuffleboard court, and a 4-bay detached carport for storage.